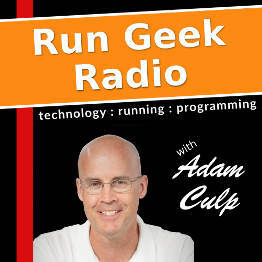 This episode Adam Culp announces the winner, David Stockton (Colorado), of the contest launched in Run Geek Radio episode 004. HUGE congrats to David who will be receiving a VariDesk Full Standing Desk. I look forward to hearing how he likes it. Adam also talks briefly to clarify his views on “soft talks” versus “soft skills talks”, and how he was misrepresented as disliking soft skills talks though the opposite is true. However, as discussed, he highlights why he is against soft talks and what that really means. Hint: A soft talk is actually a tech talk given poorly, where a soft skills talk carries value in non-technical (or people skills) areas of development. Then this episode is rounded out with a detailed coverage of time estimation in relation to projects, and why it is so vitally important to be accurate. Adam also speaks about how important proper requirements gathering is to the process. http://www.geekyboy.com/archives/1076 – Are Conference Talks Getting Too Soft?